Just inside the medina walls in the Bab Doukkala neighbourhood, right in the center of he action for explorers. 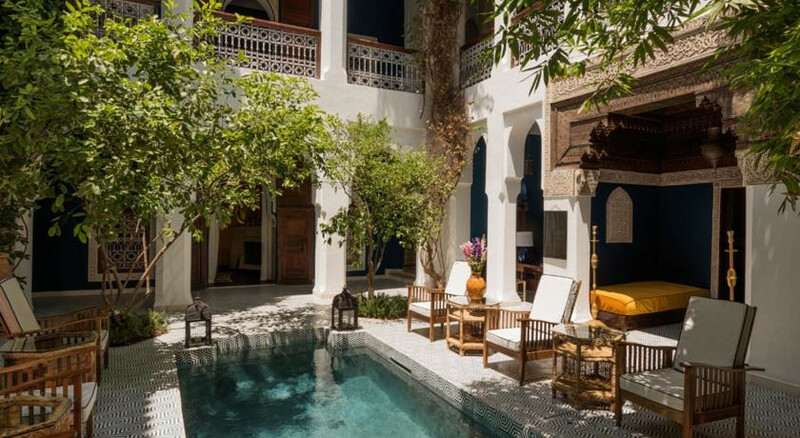 This chic and elegant riad will be sure to inspire romance, rooftop sunloungers, courtyard pool dips and charming rooms. Outdoor pool and outdoor spa pool. All children welcome. Babysitting services are available. Djemaa El Fna square is only a ten minute walk and is the main market of Marrakech. Unwind after a days exploring in the hotel Hammam and spa. Ask at the hotel about nearby cooking classes, there are plenty of great ones in the area! Bahia Palace and Conference Palace are both nearby. 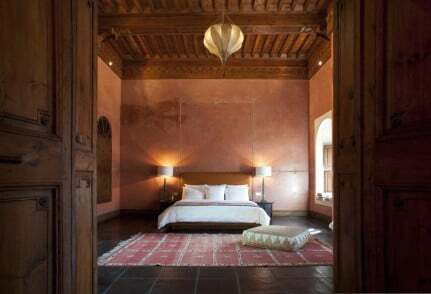 An inspired riad renovation which impresses with its decorative panache, eight jewel-coloured rooms, twin courtyards and sophisticated, romantic atmosphere.